We thought our best-selling original DryerBalls could not get any better. However, with the unique shape of the new DryerBalls, (larger surface area and bigger tips than the original DryerBalls), they double the amount of contact with your laundry so that fabrics feel even softer than ever.Clothes dry up to 25% faster, with fewer creases and wrinkles, and there is no need for a chemical fabric softener, saving on energy, shopping bills and ironing! This ingenious invention softens fabrics naturally. 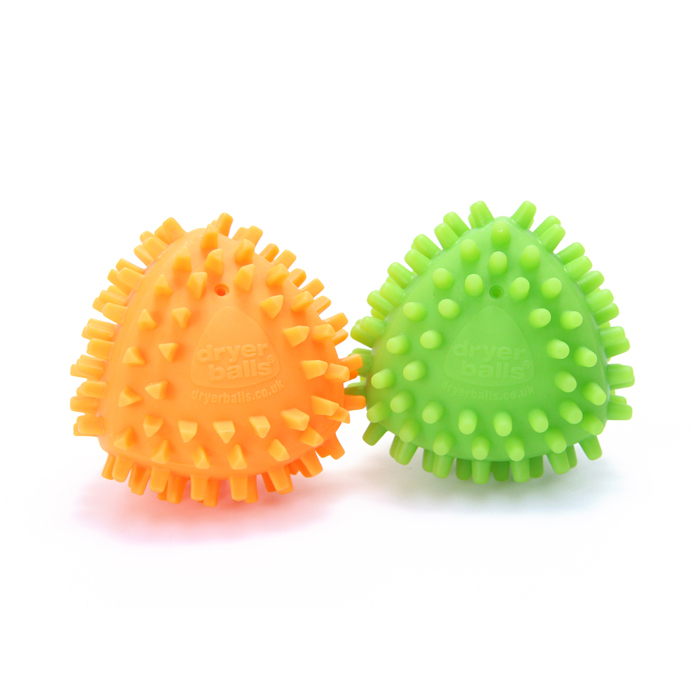 The little tips on the DryerBalls massage the fibres in the clothes, opening them up and making them soft and fluffy, without the use of chemicals. 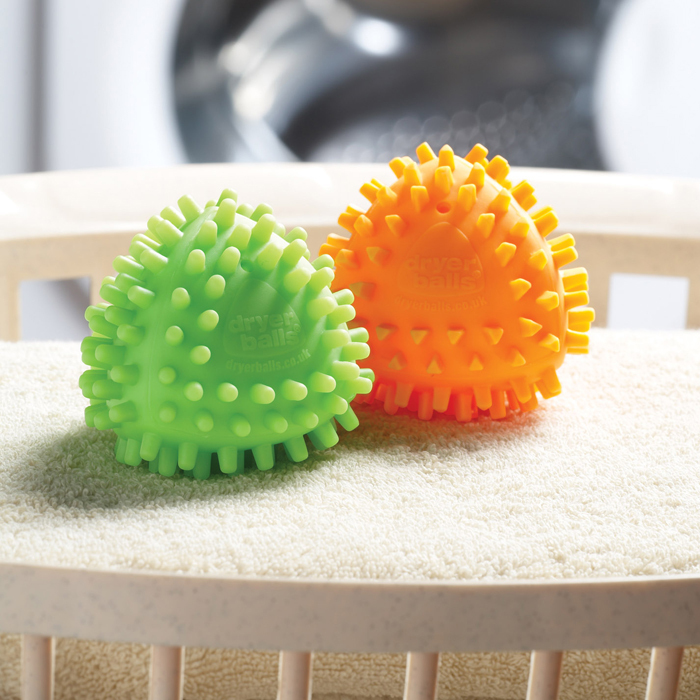 DryerBalls are non-toxic and allergy free - the safe, cost-effective alternative to fabric softeners. 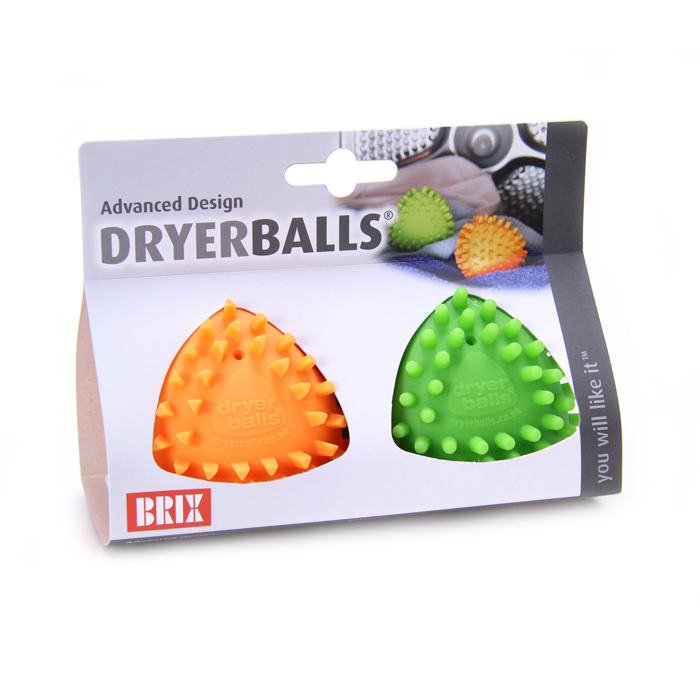 DryerBalls can be used on any fabrics - your delicates, your jeans, towels etc.